New York City Skyline With Urban Skyscrapers And Rainbow. Royalty Free Fotografie A Reklamní Fotografie. Image 57029801. 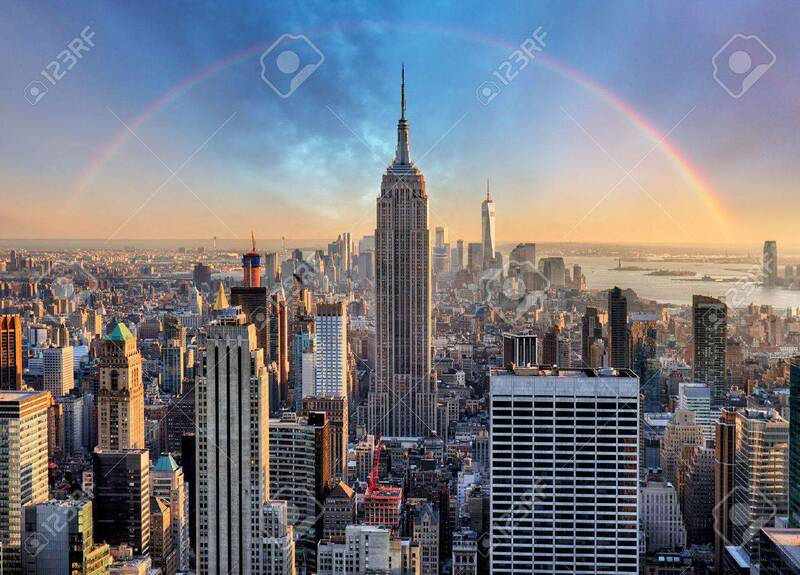 Reklamní fotografie - New York City skyline with urban skyscrapers and rainbow.